I’m a little obsessive about proper usage, but there are plenty of holes in my knowledge of writing style. Thus, when I saw “all our funds,” it drove me to the internet to see if that should read “all of our funds.” My first observation: this seems to be a question mainly for English language learners. There don’t appear to be many established grammar or style gurus writing online about this topic. 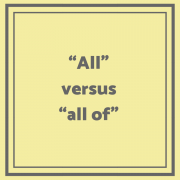 Grammar Monster says to use “all” before any noun except a pronoun. 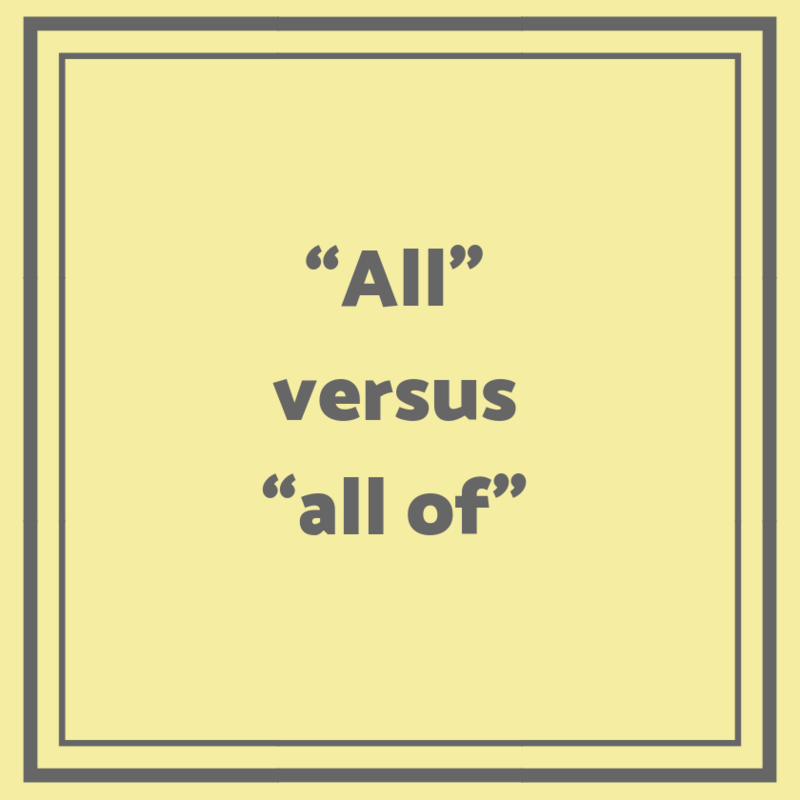 For example, “all of us,” but “all the cheese.” In a sidebar, it says that “all of” is an indefinite pronoun, but “all” is an “indefinite adjective.” How’s that for a bit of grammar trivia? That’s all for now on my latest research. I.e. versus e.g.--which is correct? This is my first time on your blog. 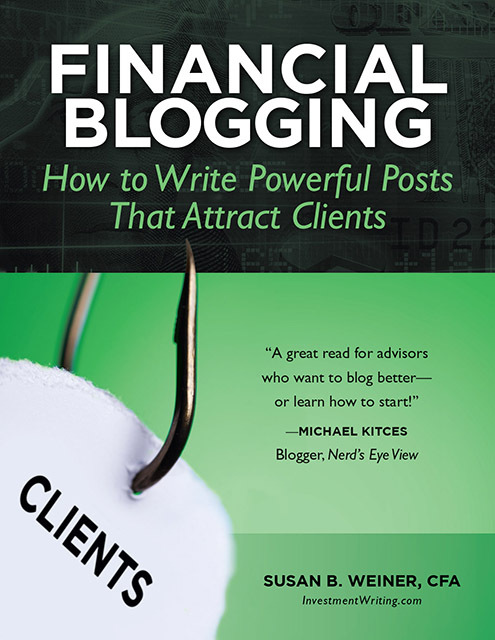 I’m glad I stumbled upon your site since I’m constantly trying to improve my financial writing (studying for the 3rd and final CFA exam right now). When writing, I always try to read my copy out loud… and including “of” sounds more natural in your first example. Although, I can see it going either way depending on context. Thank you for visiting! I’m also a big believer in reading out loud. Good luck with Level III! MISTAKE MONDAY for March 25: Can YOU spot what’s wrong? MISTAKE MONDAY for April 1: Can YOU spot what’s wrong?